It all started when I convinced the Mister to paint our front door (doors, actually) a beautiful soft blue-green. We painted the door (okay, doors) a high-gloss red shortly after we moved in, and while I love the punch of a red door on a black and white house, I was ready for a change. The Mister, who is a saint when it comes to yard work, had planted lots of hydrangeas, ferns and boxwoods at my request. (The planting itself probably wasn't so bad, but the ripping out of the original multi-colored azaleas and dilapidated tea olives was a big job!) 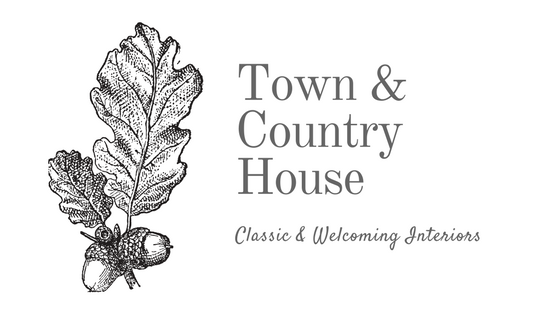 I imagined guests walking up to our front door and being met by billowy hydrangeas, airy ferns, and stately boxwoods, and the shock of the red door seemed wrong. We needed a door that would harmonize with those beautiful blue and green tones. First, I have to say that I love the aqua-colored door, but I second-guess myself whenever I try to do any kind of holiday decorations outside. Bright orange pumpkins have to be tempered with blue-green pumpkins and ghost gourds. Christmas red ribbon, which I love, somehow seems a little garish against the pale blue-green shade, so I decorated with lemons and limes and a dark green velvet ribbon at holiday time. For Valentine's Day, I decided I needed a heart-shaped boxwood wreath. I googled same. Hmm, $15 - $45, plus shipping. I searched on Pinterest for some diy tips, and then this morning while Charlie was out for her constitutional, it occurred to me that I had more than enough boxwood only steps away. So, without further adieu, here are my directions for making a heart-shaped boxwood wreath for zero dollars in less than an hour. boxwood - I used two very full handfuls of boxwood trimmings 8- to 12- inches in length. First, shape your coat hanger into a heart. To do this, you'll need to untwist the wire at the hook part of the hanger, bend the ends toward each other, and re-twist back together. This takes a little bit of hand strength, so you might want to use pliers. A perfect heart shape isn't necessary, thank goodness, because the boxwood will cover irregularities. Fresh boxwood will also create its own irregularities, which suits me fine. I kind of prefer the handmade look. Next, begin wiring your longest boxwood clippings to the frame. Don't worry about errant sprigs; they can be trimmed later, if you like. After you've covered the frame with longer stems of boxwood, you'll want to create a wire loop at the top center point of the heart, so it will be easy to hang. Now, it's time to add shorter, fuller clippings to fill out the wreath. I cut my remaining boxwood into smaller six-inch long pieces. I discarded any woody, or forked, stems at this point. Gather the smaller trimmings into groups of three or four and begin wiring them to the wreath frame, starting at the bottom point of the heart and working your way on the lefthand side to the center point of the top of the heart. Then, repeat the process on the righthand side. Your wreath will probably look something like this. I actually like this unruly look, but I was afraid it might not "read" as a heart on the front door, so I trimmed some of the more raucous stems. I also flipped the wreath over and trimmed the wires, so they wouldn't scratch the door. 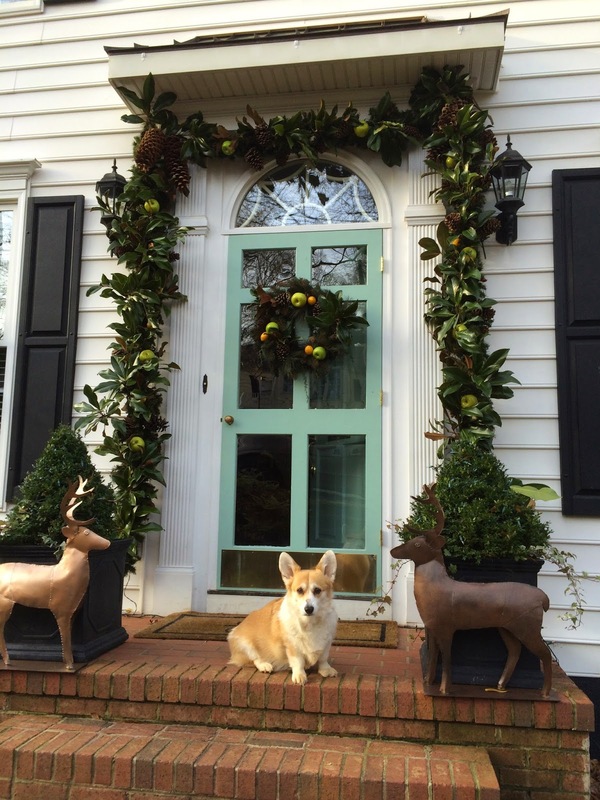 And, truly, less than an hour after I started, this boxwood wreath was hung on our front door. In cool weather, the boxwood will stay green for several weeks. After all, tomorrow's February 1st, so Valentine's Day isn't far away. Please let me know if you make a boxwood wreath or if you have any tips to pass along for wreath making. I'm contemplating making a smaller heart to hang from the key on the stepback cupboard inside the house. I hadn't planned on posting again so soon, but last night the Mister and I had the opportunity to attend a concert by St. Olaf Choir. Our daughter sings with our church youth choir, and it was made clear that the kids were expected to attend. In fact, free tickets for the kids and discounted tickets for the parents were provided. Otherwise, it was a standing room-only full ticket price event. I can't say I was looking forward to it, but I didn't dread it either. Choir music can be beautiful, and I admire the discipline and talent required, so I thought it would be an okay evening, a nice cultural experience. I wasn't expecting the amazing, breathtaking performance we heard by college kids from St. Olaf's in Minnesota. Their sound, their range, the breadth of the music they performed--all were stunning. They'll be in Atlanta tonight, and then the remainder of their tour is in the midwest and northeast, including Carnegie Hall on February 6. If you're anywhere near any of the stops on their tour, then I highly recommend that you go. You will not be disappointed! They won't be back in our neck of the woods for five years or so, but I'm already looking forward to hearing them again. 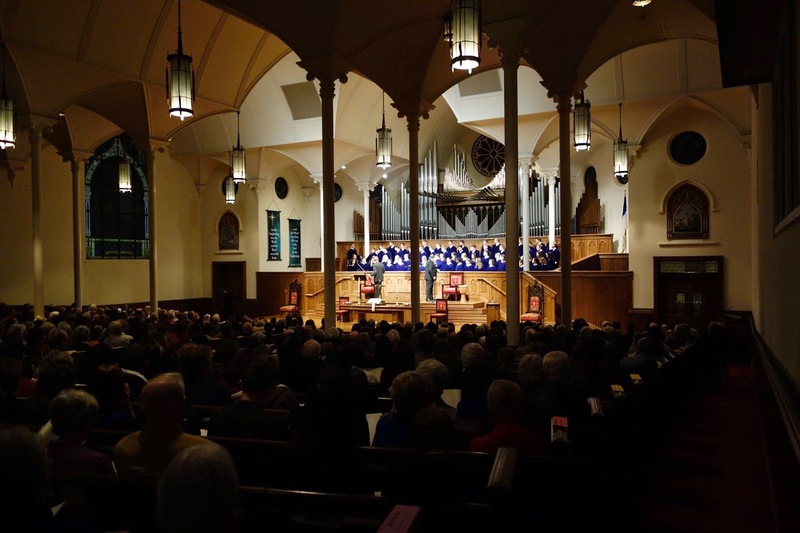 Have you heard St. Olaf's Choir perform? Who doesn't love a handsome coffee table book? 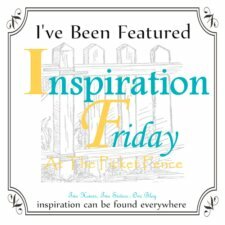 Especially this time of year, when there seems to be a little more time to page through the extravagant tomes devoted to art and decor and life. 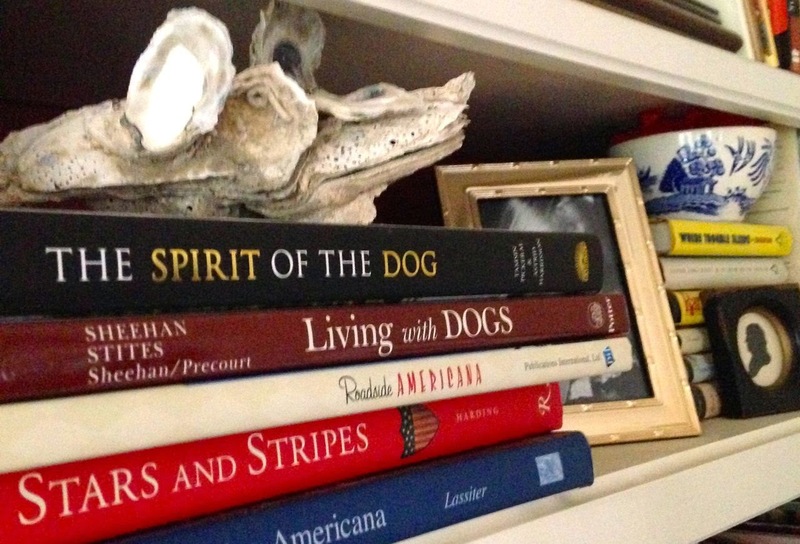 One of my all-time favorite coffee table books is the now out-of-print Living with Dogs. Although it was published in 1999, LWD didn't make it into my personal library until 2006. 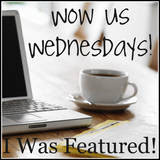 Ever since, it is either in the place of honor on our family room coffee table (an old blanket chest) or easily accessible on the bookshelves. I love looking at the elegant homes, the charming collectibles and accessories, and, of course, the gorgeous dogs. 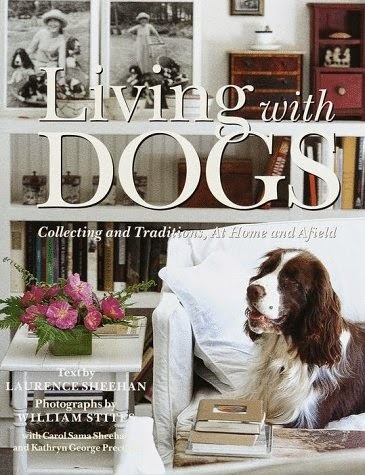 The houses featured throughout this book by Larry Sheehan and photographed by William Stites are highlighted by a warm, welcoming style that is only enhanced by wonderful paintings of dogs and other inviting reminders of the household pet. 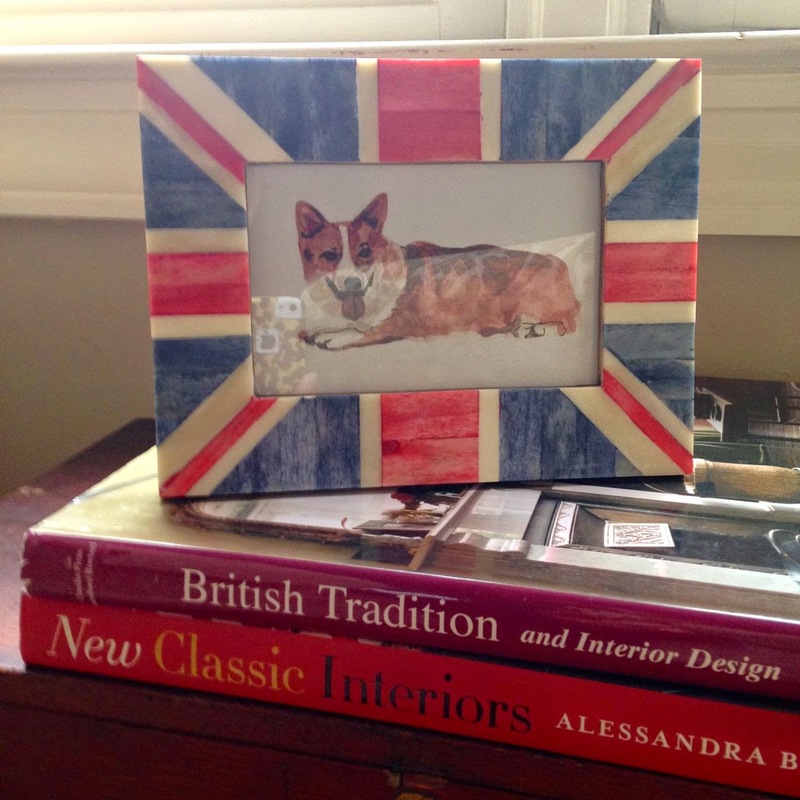 Some dog owners refine their collections by breed like, for example, collies or, of course, corgis. 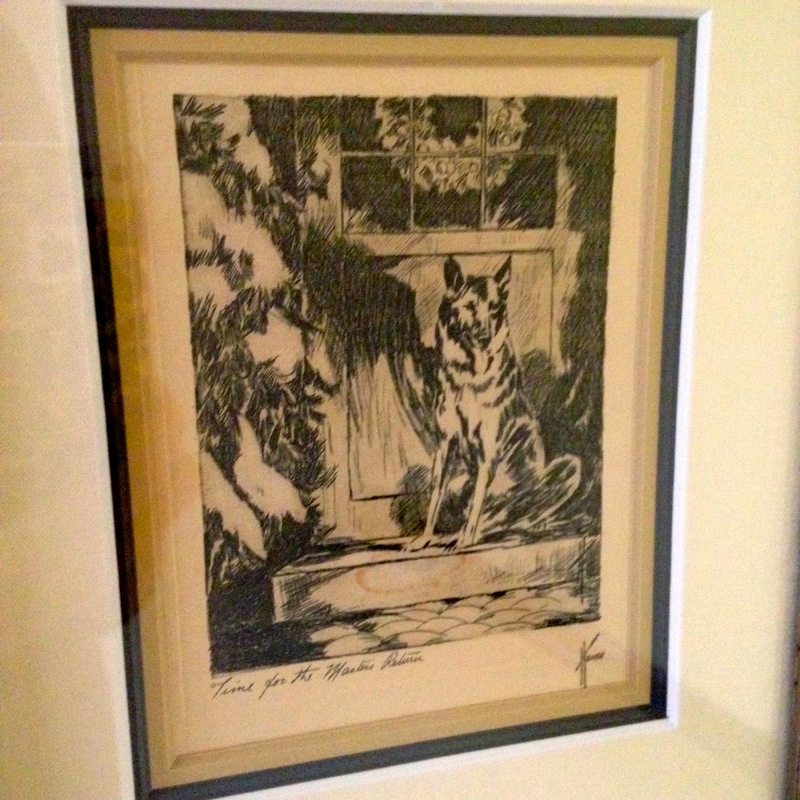 Paintings and prints, books, and collectible figures are lovely additions to a dog-friendly home. As are trophies and medals, but, not surprisingly if you've known our dogs, we have none of those. but the Mister thinks they're "old ladyish," so my collection remains at three. This was a fun Christmas gift from the Mister, via Anthropologie. Excuse the iPhone reflection! for a birthday years ago. Again I apologize for the phone shadow on the frame. 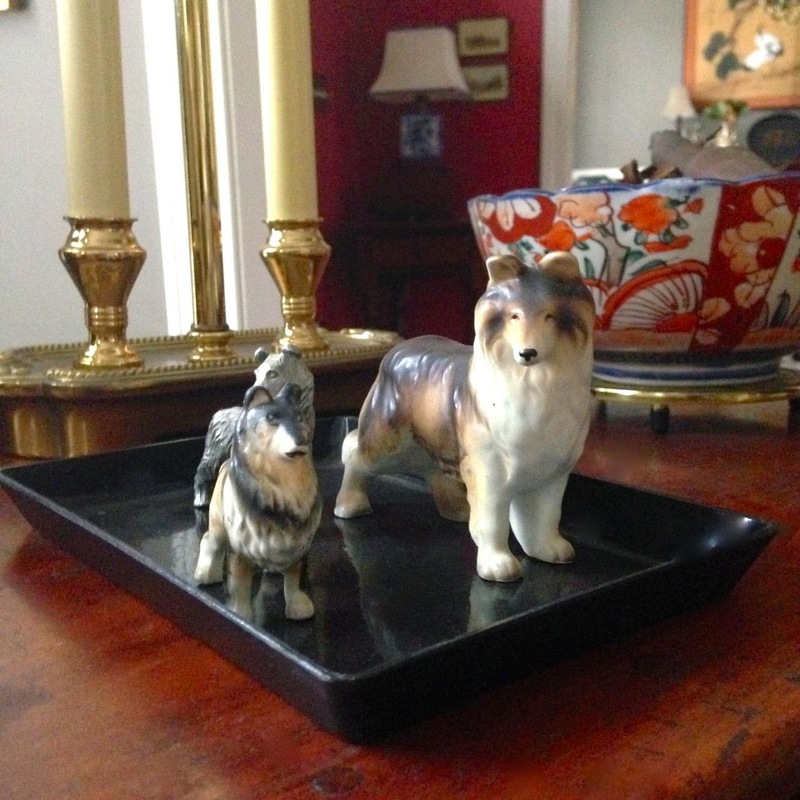 But, whenever I peruse Living with Dogs, I am always drawn to the earthenware dog bowls. Of course, there's nothing wrong with stainless steel dishes, or even plastic, but I just find the old pottery so appealing. 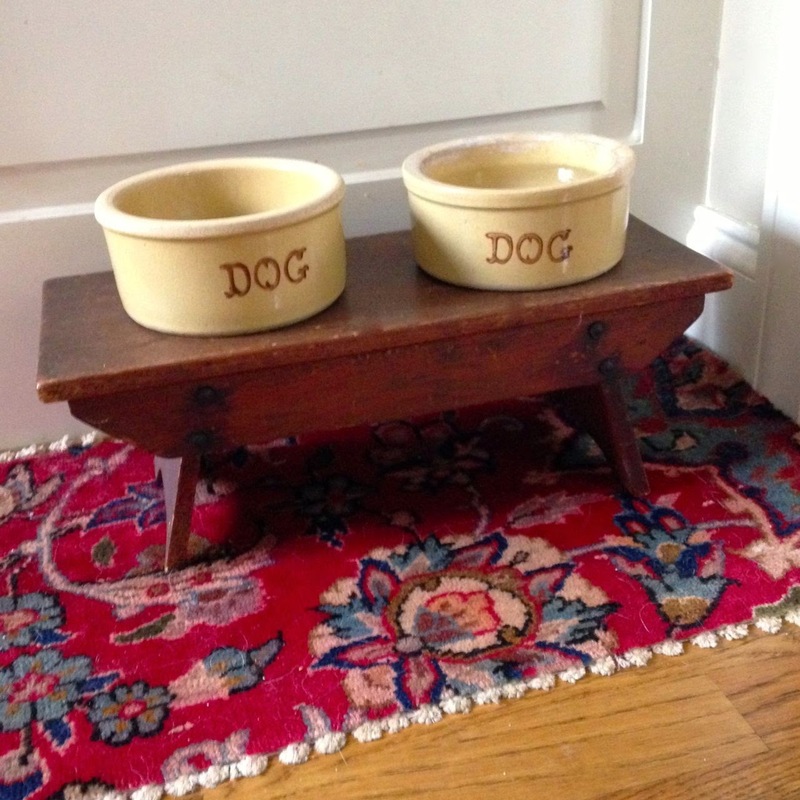 So, when I would hit the antiques shops and fairs and markets, I'd always look for the vintage dog bowls and occasionally find one. They were always a bit expensive, and since they definitely fell in the category of "want" and not "need," I'd pass them by. A couple of weekends ago, the Mister and I were in Tennessee visiting my folks. Some old friends who lived a couple of hours away suggested we meet for breakfast, and so we settled on that Southern staple that's always convenient to an interstate exit, Cracker Barrel. After a hearty breakfast and a good visit with our friends, we headed back to my parents' house, and it was easy as pie convincing the Mister to stop in the little town of Sweetwater to look around. Sweetwater is pretty charming with lots of old buildings. It was a rainy, cold day, so I didn't take many pictures, but we did browse through several antique malls and shops. 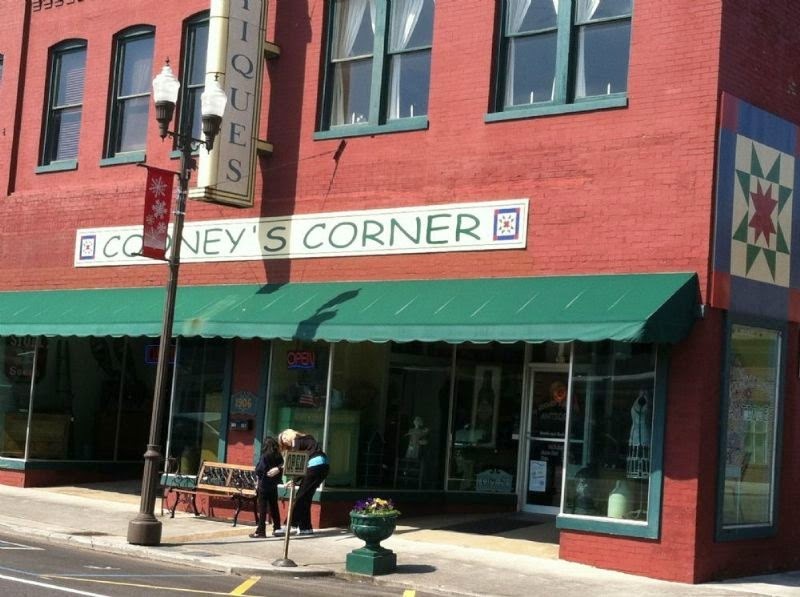 Most were definitely dealing in "vintage" wares, but my favorite mall of those we visited was Cooney's Corner Antiques. As I wandered the creaky floors and narrow stairs of the centuries old building I spied a yellow ware dog dish, marked only $9! Meanwhile the Mister explored another floor of the former department store and discovered another gem, marked $20. Same bowl, two different dealers and different prices. After a little negotiating, they were ours. Turns out, the bowls are Robinson Ransbottom Pottery made in Roseville, Ohio in the 1940s. If you're looking for some pottery for your own pooch, you can probably find them on eBay. The prices are affordable, but because each dish weighs about nine pounds, the shipping is kind of pricey! that makes a proper supper table for Charlie. The scrap of rug hides the dribbles. Now, I'm sure you must be wondering how Charlie likes her new, or old, dishes. I can only say that she is eating them up! What about you? Have you made an antiques purchase yet this year? Details, please!